Her limited-edition series, Render Loyalty, was created to bring the "conversation and the hope of conservation to your most sacred places—your home", compelling people to help write a new ending for the magnificent animals we love. It premiered as one-night-only exhibits at White Space Chelsea in New York City and at Pacific Design Center in Los Angeles, on November 17th and December 1st, respectively. All proceeds from the curated exhibits were donated to conservancy partners, Lewa Wildlife Conservancy (LEWA) and The David Sheldrick Wildlife Trust (DSWT), the world's two leading wildlife conservations located in Kenya. 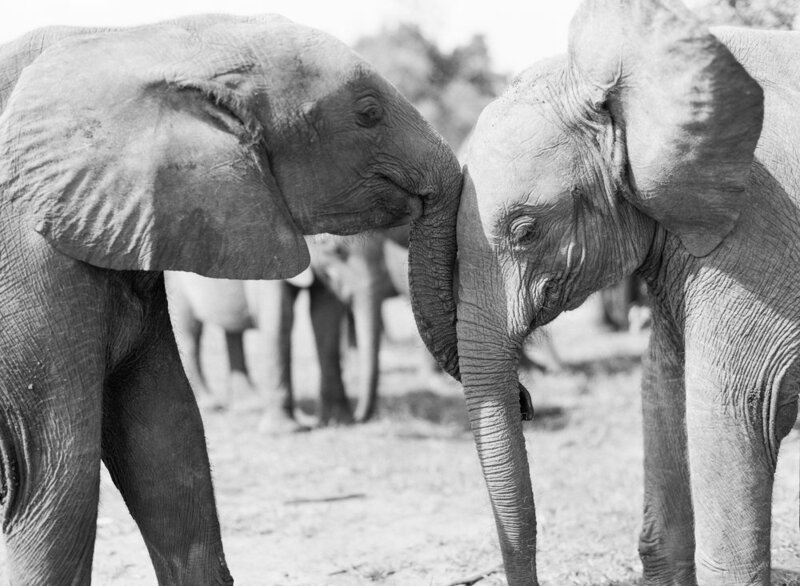 Merry's photographs, taken at each sanctuary and captured on film with 35mm and medium format cameras, evoke a profound sense of awe and emotional connection with the majestic species portrayed, whose existence may be wiped out within two generations without our collective efforts to save them. In coming up with the name for the series, Merry decided on 'Render Loyalty' to represent her allegiance to protecting wildlife through fine art photography. “Some of the most majestic creatures on our planet—elephants, tigers, rhinos—may be extinguished from Earth in as little as two generations. Render Loyalty is my journey as a photographer, conservationist and storyteller to reconnect mankind to our fellow creatures through art and narrative that evokes compassion and inspires change,” says Merry. In addition to the exhibits' proceeds going to Lewa Wildlife Conservancy and The David Sheldrick Wildlife Trust, 20% of all sales from renderloyalty.com will also be donated directly to its conservation partners. This helps ensure an ongoing effort to support the vital work they do. KT Merry has always been an avid animal lover, but she didn't start out as a wildlife photographer. The Hallmark Institute of Photography graduate spent over ten years doing fashion and lifestyle photography. Together with her business partner and husband, Chad Keffer, she has travelled around the world as a destination wedding photographer, with her work featured in top publications including Martha Stewart Weddings, The Knot and BRIDES. Despite her success in fashion and lifestyle photography, Merry has shown what can be achieved when you combine your passions to create meaningful work that truly impacts the world. To support her work and her partners' conservation efforts, click here to shop her gallery. Bring home the inspiring pieces that spark conversations and inspire others to do their part in helping the threatened species with whom we share this planet. If we don't act now, there may be nothing left but photographs that remind future generations of the majestic animals that once existed.